Scott Morrow is an Internet and startup veteran, having run such companies as Oversee.net and ThisNext, and headed up product marketing for IAC/Citysearch. He's now transforming Luxury Link (www.luxurylink.com), a local luxury vacation travel company, and ramping up the service in a world where online travel marketplaces (HomeAway, AirBNB, and others) have been growing like crazy. Scott Morrow: For sixteen years, we've been inspiring passion for travel, through extraordinary resorts, hotels, and vacation experiences. We currently partner a thousand luxury properties across 82 countries. Half of all our transactions are from repeat buyers. If you look at Luxury Link, our demographic is very attractive. They're mostly C level executives, and households with incomes of over $200,000 a year, which makes advertisers on our site such as Neiman Marcus, LVMH, Mercedes, Ritz Carlton, and Mandarin Oriental a big component of our business. We're privately owned, and we don't disclose our financials, but we're profitable, debt free, and growing. When did you get involved with the company? Scott Morrow: I was appointed CEO and joined the board in November of last year. My mandate coming on was to scale the company to reach its full potential. We figured out that the assets we have, and being in the luxury space, we had a tremendous opportunity that was greater than the current run rate of the company. My initial focus, and I've now been with the company for eight months, has been to grow traffic, and create more traffic channels. When I first came on board, we were not very sophisticated with our search engine marketing. We partnered with a big management platform, integrated in our back end, and scaled out our keywords exponentially. We grew our SEM and improved our ROI. We also weren't leveraging social platforms, so we expanded our presence on sites like Facebook, Twitter, Pinterest, and Instagram. Most importantly, we had only been marketing our international hotel inventory to the U.S. Audience, and there was a tremendous opportunity to market our existing inventory to regions throughout the world. We set up a series of international, localized websites, so that we could market our European inventory through websites in France with .FR, Germany. DE, Italy, and have similar plans with Asia. That's been incredible promising, and we now have five traffic channels which are contributing equally to our overall visitor total. How have those changes helped grow the firm? 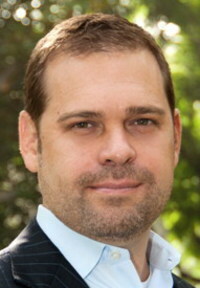 Scott Morrow: In the first half of 2013, our growth in search engine marketing traffic was up 70 percent. With social and direct users who just type LuxuryLink into their browser, it was up 21 percent year to year in the first half. The other important and exciting development is we're introducing our brand to a new, younger group of visitors. We'd traditionally marketed to baby boomers, but we're now marketing to Gen-X or Gen-Y, and even in some case to millenials. We've been focusing on improving our purchase funnel and overall conversion rate. We're aggressively hiring, which is great news for the local industry, in marketing, sales, and engineering. This is the best job I have ever had, it's an exciting opportunity, and we're just now looking to get out into the market and tell our story and reach our full potential. Why did you decide to get involved with the company? Scott Morrow: There were two things. There was a very specific profile of what I was looking for. The first, was it had to be consumer Internet. The second, is I was looking for a company with fifty to 100 employees, and the third, was a company with $10M to $100M in revenues. Fourth, I was looking for a company which was break-even to profitable, and with no debt. Finally, I was looking for a company with a healthy relationship with the board, and no upside-down cap table. This company fit that profile exactly. The other thing, is I'm an avid traveler myself, and have traveled to 28 countries. I would use this product even if I wasn't working here. I actually anonymously booked a trip as a consumer through Luxury Link, surveyed the guests, and talked to management of a hotel anonymously to talk about their experience, even ran into some LuxuryLink users, and was able to get behind the scene and understand if there was value here. I came out of that with two things. One, is the consumer value proposition is just solid. You get access to luxury at a discount price. That's clear, simple, and compelling. For hotel partners, the boutique and luxury hotels we work with, especially outside of the U.S., they have a lot of difficulty marketing in the U.S. We provide an amazing ad platform, which helps them to communicate their message, and compete with the Four Seasons, the Ritz Carlton, and really raise their profile as a luxury brand. We're really about connecting the right demographic with interesting luxury and cool properties, and a moving vacation experience. I've already bought four packages on the site myself, and I don't even get a discount. Talk a bit about the history of the company? Scott Morrow: The original business plan was to be a B-to-B, data network to help travel agents book hotels offline, at these boutique, independent luxury hotels. It was originally not a consumer website. Like most ventures and startups, the company learned along the way that there were some opportunities in another direction. They pivoted, and went after the consumer space. It really became a journey, with a big differentiation of working independent luxury hotels around the world. We now have a thousand partnerships across 82 countries. Those relationships allow us to offer up unique, proprietary packages, which we can remarket and sell to our audience. We truly have unique offerings, something that big travel players like Expedia, Priceline, Orbitz, and TripAdvisor don't have access to. Our inventory is unique, in that it is not from a GDS feed, and we're not simply regurgitating the same inventory that's out there in the OTAs. Our is unique inventory, packaged with the best web pricing. The way our business model works, is we work to market hotels to our consumer, and they give us inventory in form of payment. That allows us to discount those to extraordinary prices, so that the inventory we sell is actually Luxury Link's own inventory. That lets us be super aggressive in pricing. What has been the biggest challenge for the company? Scott Morrow: The positive, is we've been around for sixteen years. That means we're established, and we have real value and a process. On the flip side, that 16 years means we have bad habits, and our culture was not aggressive, hard charging, and did not have an accountable structure. I had to make lots of staff changes, including lots of people on the executive team--people who had been with the company for lifestyle reasons, or were complacent in their role. The biggest challenge in that situation, is how to re-energize your workforce and the culture, in a way that doesn't destroy it. I had to make lots of changes in the last eight months, and although I've done that several times in my career, I had to do that without losing key talent, which was critical to all of our relationships. There are many travel sites out there, how do you differentiate yourselves from the many other sites? Scott Morrow: At the core, we're a marketplace, and we serve both consumers and help hoteliers. We also have train trips, river boat cruises, boat cruises, and safaris, all very broadly luxury vacation. On the consumer side, our biggest differentiator is the best pricing. The second, is we're exclusively focused on the luxury space. When you got to the big OTAs, and try to filter and sort through the glut of what is essentially a directory of every property out there in the world, it's very time consuming. You are also getting reviews from travelers who might not be like minded as you. In our case, we have an affluent demographic, who provide the recommendations, and we also have a curated list of properties which let you save time at an amazing price. That's very unique. On the advertiser side, we specialize in luxury, so if you are a partner working with us, you'll be confident that you won't be alongside another brand that would be inferior and pull you down. We help reinforce the idea of being in a luxury segment, which really works. Also, many of the OTAs essentially own the transaction and deliver only an incremental sale. That's not what our partners want. They want leads, they want direct bookings, and the ability to build direct relationships. We're a comarketing partner, delivering them with leads each month, via clicks, calls, registrations, and direct bookings to a hotel. What's the most important lessons you've learned through this? Scott Morrow: It's not a new lesson, but a reinforcement for me. This is my third CEO gig, and I like to think I've gotten better at each step. One thing I've learned is you have to make changes quickly. The longer it takes, the harder it is to retain talent, and make the changes necessary to get growing. You have to be able to get in, assess, and act. The longer that takes, the harder it is to retain talent, and the harder it is to do what's necessary to get growing. That lesson took me awhile. In the past, I was worried about making those hard calls, particularly with senior personnel, and was worried the coverage wouldn't be there. I now realize that everyone is replaceable, and organizations are resilient, especially at a company with a strong value proposition. You have to make the right call, get a team bought into where things are headed, and know you can do more with less. Even workloads that might seem possible will work out.